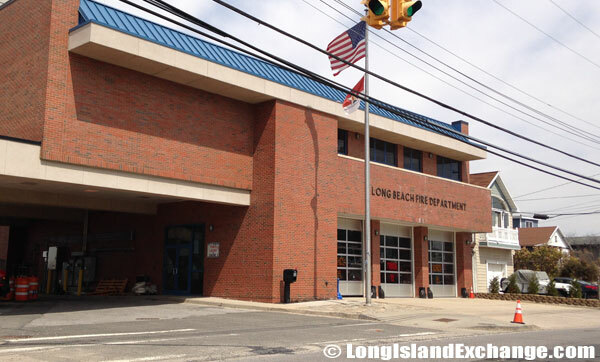 Update: On October 29th 2012, Long Island was declared a major disaster when Hurricane Sandy devastated the much of the South Shore. Long Beach was badly effected by this storm with some stating that Long Beach would “never be the same”. 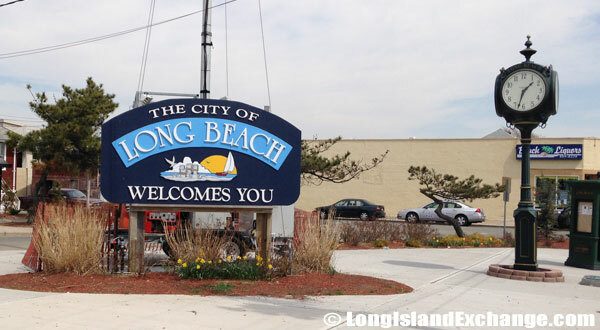 Long Beach is a city located in Nassau County, is on a barrier island off the South Shore of Long Island, New York. 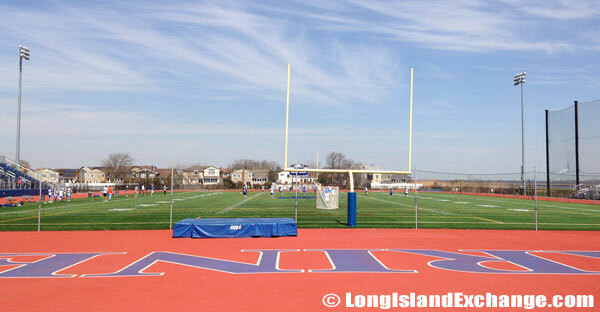 It is surrounded by the Town of Hempstead. The city is less than a mile wide from ocean to bay and about three and a half miles long. Long Beach is politically independent and self-governing. The governing body consists of a five member City Council elected every two years in which they appoint a City Manager. 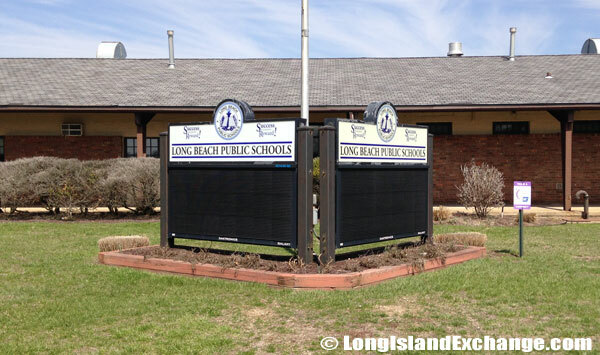 A sign welcomes visitors and residents to Long Beach, a city and barrier island off the South Shore of Long Island. 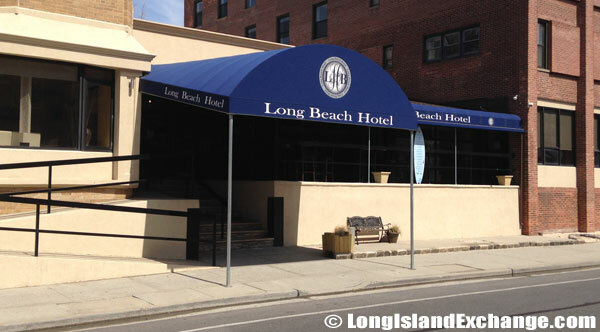 Located one block from the beach and boardwalk, Long Beach Hotel is 25 minutes from JFK International Airport and 40 minutes from New York City. Aqua On The Ocean, exclusive, resort-style condominiums in Long Beach. Long Beach Public Schools Board of Education. As of the 2010 census, there were 33,275 people, 14,809 households, and 7,595 families residing in the city. The median income for a household in the city was $79,546, and the median income for a family was $103,532. The latitude of Long Beach is 40.588N. The longitude is -73.658W. It is in the Eastern Standard time zone. Elevation is 0 feet. Long Beach City College, Veteran’s Memorial Stadium. 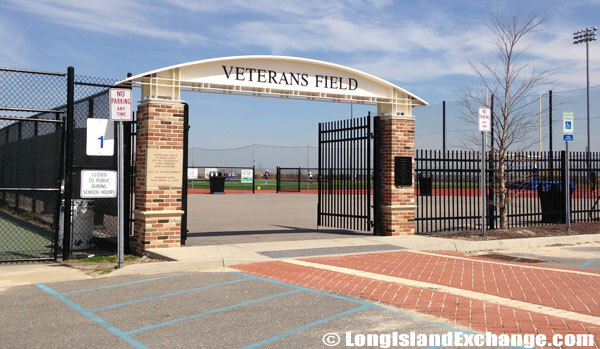 Long Beach City College, Veteran’s Memorial Field. 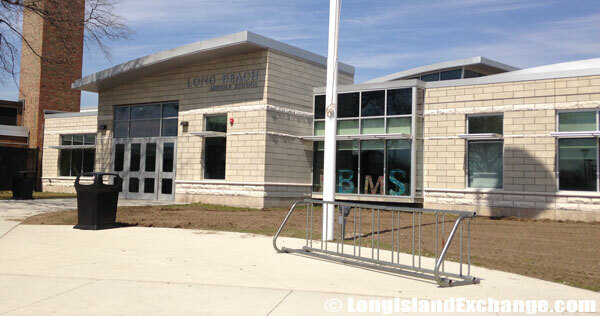 Long Beach Middle School, Long Beach City School District. 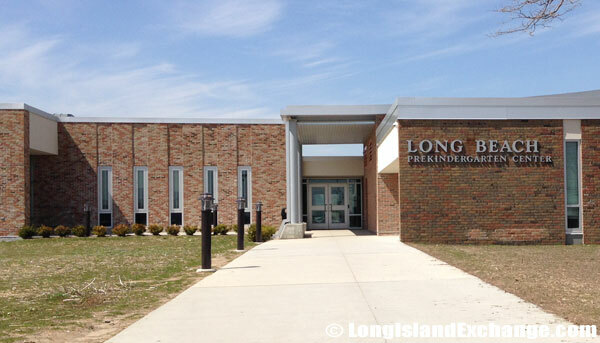 Long Beach Transitional Kindergarten in Long Beach Public Schools. In 1643, the Rockaway Indians were the first inhabitants who sold the area to colonists. The former and merged names include Long Neck and Long Neck Beach. Long Beach was founded in 1880 at which point it was partially submerged in water. Some areas of the city, most notably, “the canals”, are built above water. There is also a neighborhood known as “The Walks” consisting of tremendously narrow sidewalks in between houses. Each “Walk” is named after a month. This area is located near the West End. 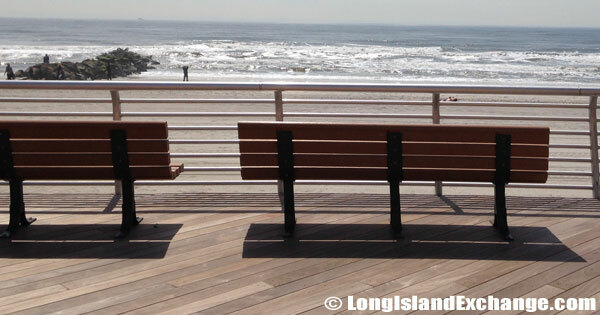 The newly rebuilt boardwalk in Long Beach reopened on October 25, 2013. 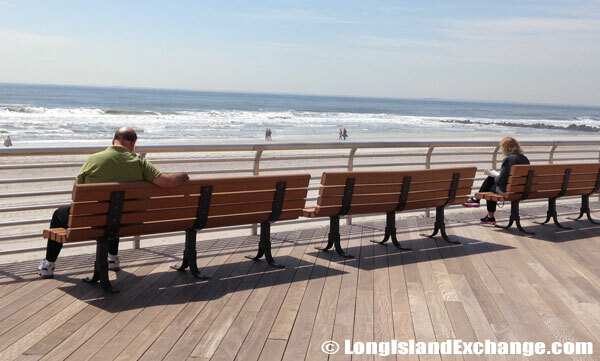 A stunning view from the newly rebuilt boardwalk in Long Beach. 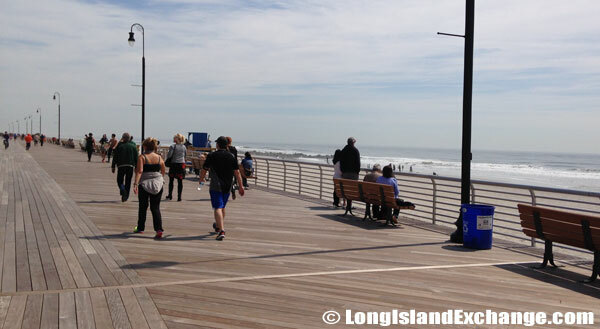 Visitors enjoy the boardwalk in Long Beach during spring and summer months. 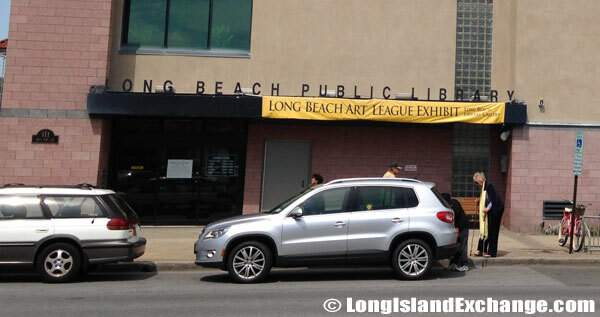 Beginning in the 1980s Long Beach has begun its development with new housings, new businesses, and other improvements. Today, the city is attracted by the quiet beach atmosphere and the easy, 55-minute train commutes. An entry way to the boardwalk in Long Beach. 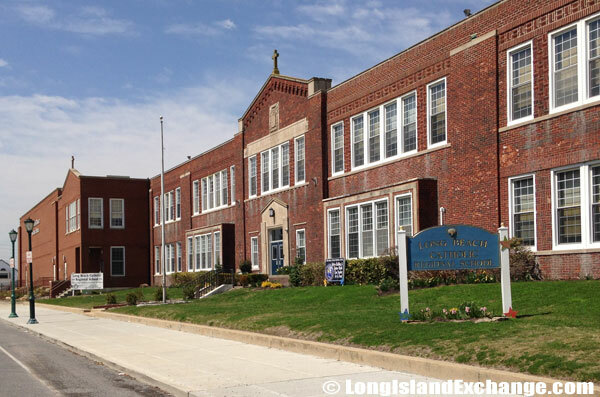 Long Beach Catholic Regional School, a private coed school serving 36 students in grades PK-8. 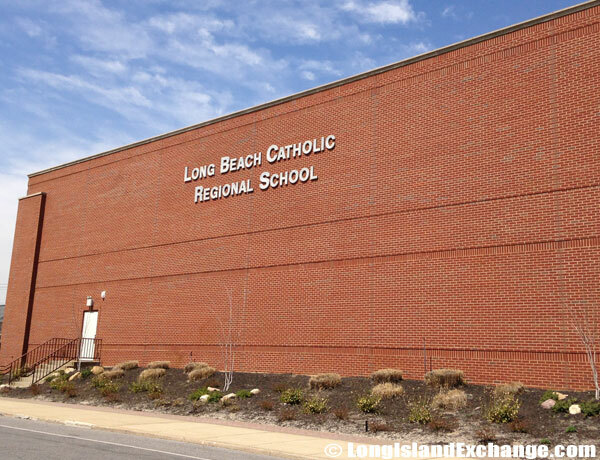 The Long Beach Catholic Regional School, 735 West Broadway. Well-known residents have included Billy Crystal (comedian and actor), Humphrey Bogart (actor) and Cab Calloway (singer and bandleader). The blockbuster 1972 movie, “The Godfather” was shot and filmed in Long Beach and nearby Atlantic Beach. Also the 2002 movie “City by the Sea” starring Robert de Niro and co-actor James Franco was based on a true story about a murderer from Long Beach. 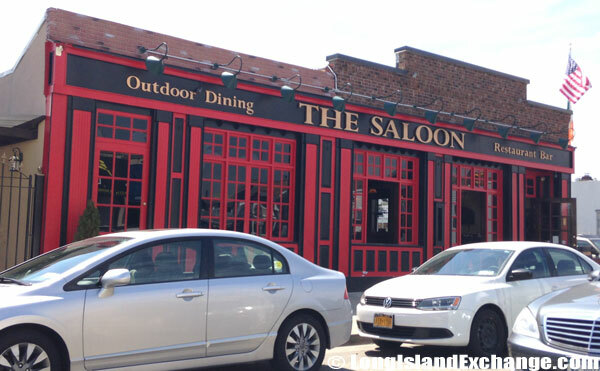 The Saloon restaurant is a Long Beach favorite for food, drinks and nightlife. 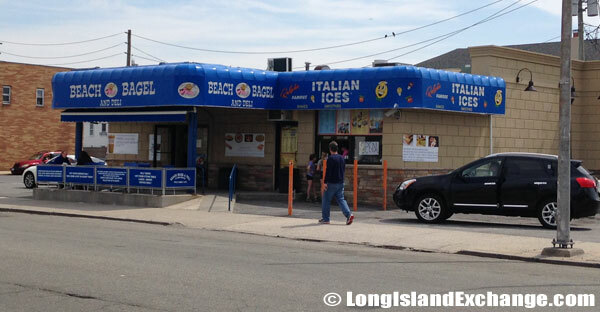 Ralph’s Famous Italian Ices in Long Beach. The City of Long Beach Fire Department on the west end. 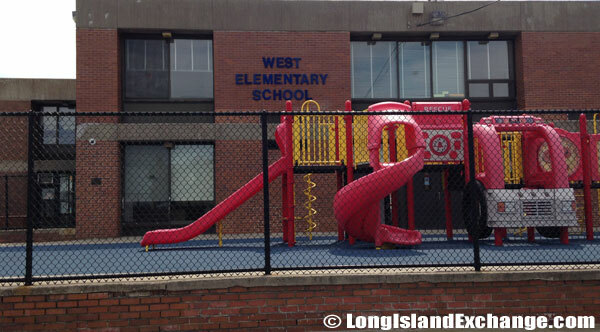 West Elementary School, Long Beach City School District. The community has one 2-lane street, Park. When this ceases to be a major street, West Beech starts to be one. Park/West Beech have some stores but is mostly isolated at night. The city has its own library, playground, pool, ice skating rink, industrial zone, city hall, garbage dump, and water treatment plant. 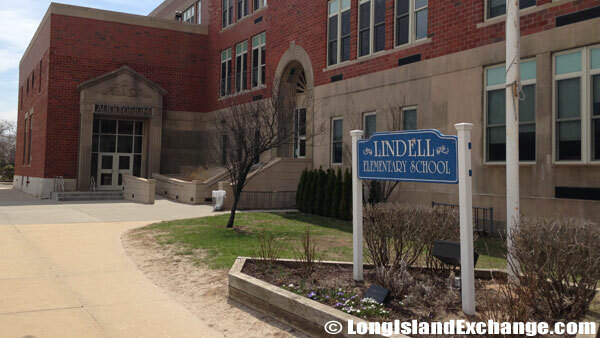 Lindell Elementary School, Long Beach City School District, 601 Lindell Blvd, Long Beach. Noell C. Maerz, Age 29; worked at Euro Brokers in Manhattan and was a victim of the Sept. 11, 2001 terrorist attacks on America. He is remembered here with this stone. 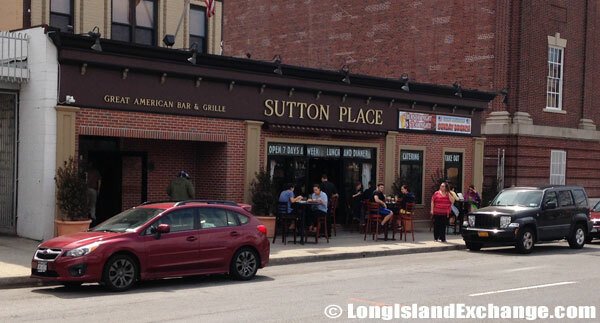 Sutton Place Great American Bar & Grille. Long Beach City School District serves the entire city of Long Beach. The beach here has about the highest waves compared to other famous beaches like Bar Beach and Jones Beach; it is advisable to be extra careful when swimming as it is said that at least one person dies here each summer in the immense waves and the life guards are correspondingly strict about letting people swim out far into the ocean. The Long Beach Chamber of Commerce, 350 National Boulevard. 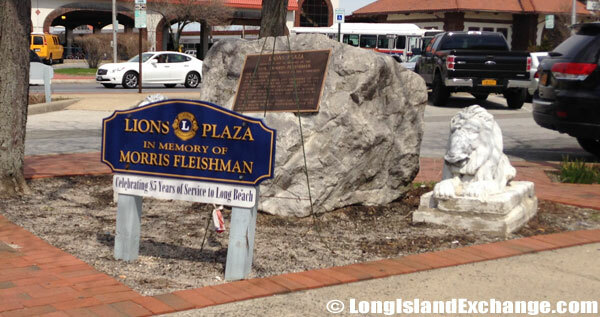 The Long Beach Lions Club honors Morris Fleishman in the plaza. Fleishman was born in 1900 and passed away in 1975. 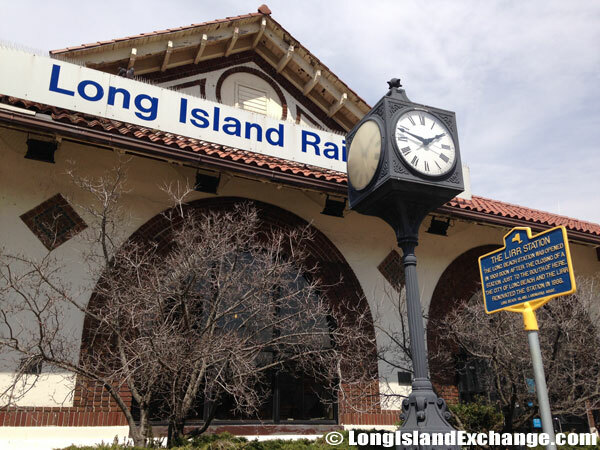 The Long Island Rail Road terminal station at Park Place and Park Avenue, originally built in 1880. Long Beach Medical Center, a 403-bed teaching and community hospital. 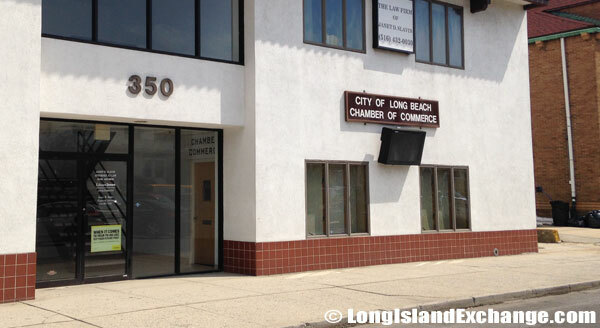 The Long Beach Medical Center has been very helpful to the residents recently opening a new 12,000 square foot state-of-the-art Emergency Room with cardiac care unit, trauma room, pediatric room and private observation rooms. 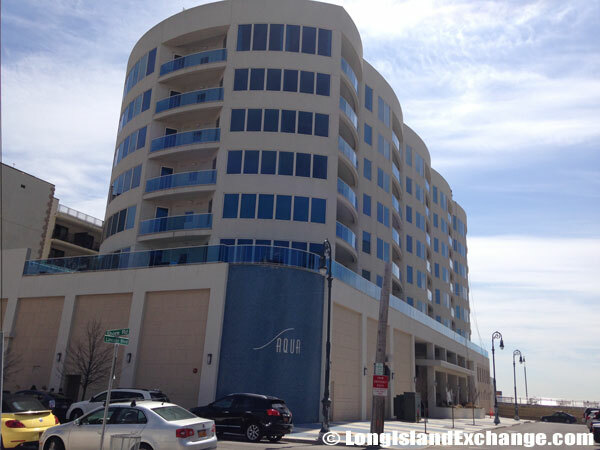 In terms of housing, Long Beach offers one of the widest ranges of living styles on Long Island. House styles include bungalows, Colonials, ranches, high-ranches, contemporaries, and Tudors. 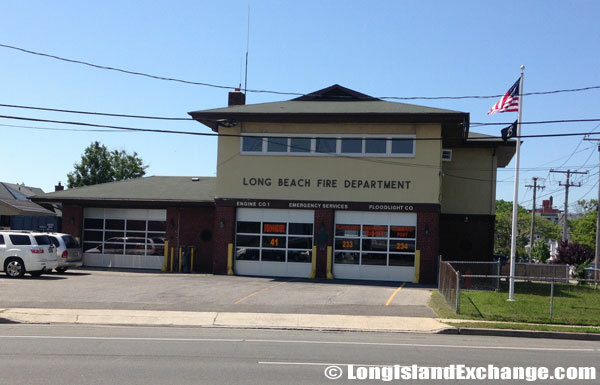 The City of Long Beach Fire Department on the eastern end just as you enter Long Beach from Lido Beach. 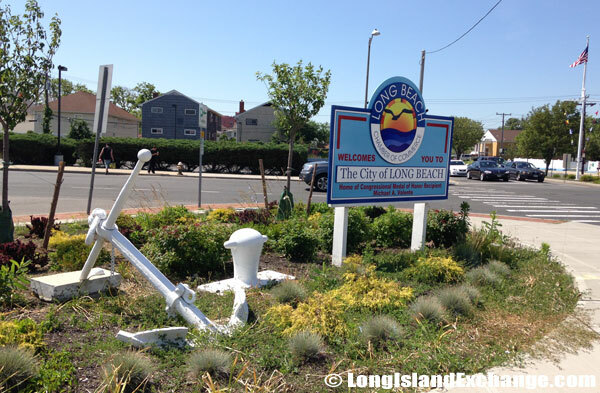 A sign and anchor welcomes visitors and residents to Long Beach. 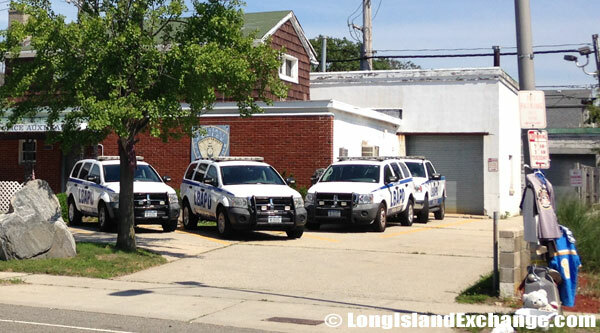 City of Long Beach Police Department located at 1 West Chester Street.